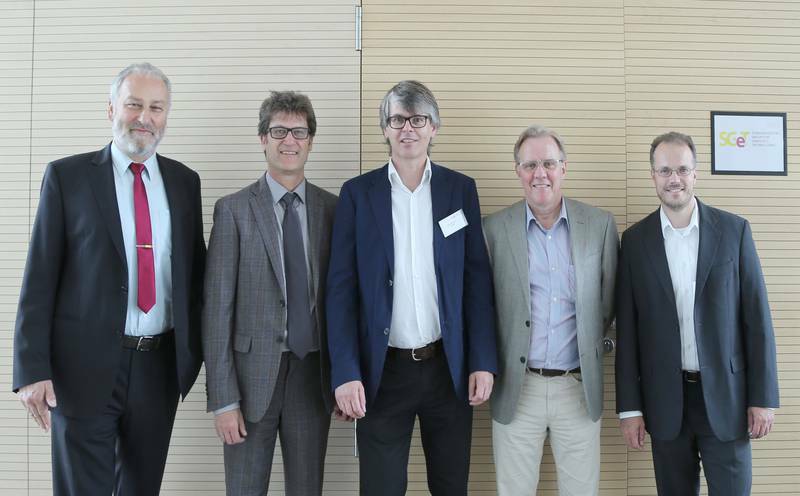 For the next three year term, following members were re-elected: Engelbert Hörmannsdorfer from speicherguide.de as Chairman, Christian Eder from congatec AG as Treasurer and Carsten Rebmann (congatec AG) and Wolfgang Eisenbarth (MSC Technologies GmbH) as Deputies for the Chairman. Josef Behammer no longer stood for re-election after the end of his term as Secretary; the SGET members voted the consultant Mark Swiecicki onto the Management Board to take on this position. Mark Swiecicki already acts as the Chairman of the SGET Workgroup SDT.02 (Qseven). The board members and management thanked Josef Behammer for his commitment and the intensive work he has carried out for the group. Prior to the General Meeting, the SGET Workgroups SDT.02 (Qseven) and SDT.03 (embedded NUC) held further meetings. Both SDTs (Standard Development Teams), which in recent months have adopted significant standardization documents (Qseven Design Guide 2.0, embedded NUC Spezifikation 1.0), discussed new ideas and requirements for upcoming releases. “The SDTs are now open to new members,“ SGET board member Carsten Rebmann comments: “In contrast to other standardization bodies, the SDTs in SGET remain intact even after the initial objectives are achieved so that a standard can continue to be developed at any given time, thus keeping the standard alive“. Furthermore, it was announced that a new standardization group will be formed which will focus on possible standards for the Internet of Things (IoT) from the perspective of the embedded computing industry. Prior to the General Meeting, companies who are members of the SGET met at an informal meeting and agreed to define a ‘Statement of Work‘ for an upcoming standard by around mid July 2015. All SGET members have been invited to participate. Further embedded computing companies, i.e. manufacturers on board or system level, semiconductor and connector manufacturers, software developers, research and educational institutions as well as embedded system integrators, OEM solution providers and industrial users, are very welcome to join the SGET e.V. and contribute their ideas.